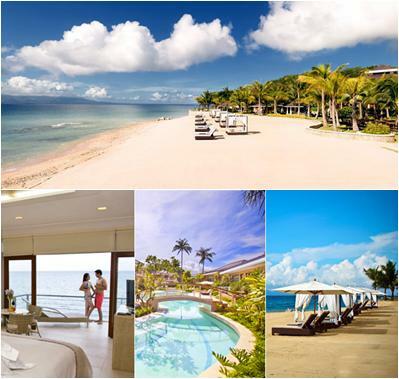 Misibis Bay - 38% off for a 3D/2N stay! 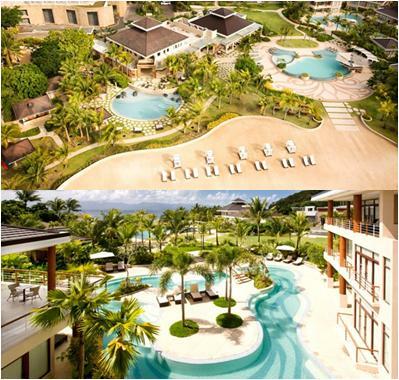 Only P19,995 for 3 Days and 2 Nights Stay for 2 at Misibis Bay (valued at P 32,250) Save P12,255! Valid for travel from June 1 to December 15, 2011. Kids 7 and below can stay free of charge. Kids 8-12 years old will be charged P2,745 per night. To book your preferred dates, you may call Misibis Bay’s reservations office at the number below. Be ready with the redemption code on your voucher. Escape to your private island playground at Misibis Bay. 3 Days and 2 Nights package for 2. Complimentary ATV Ride to the Nature Park. Looking for a new travel destination? 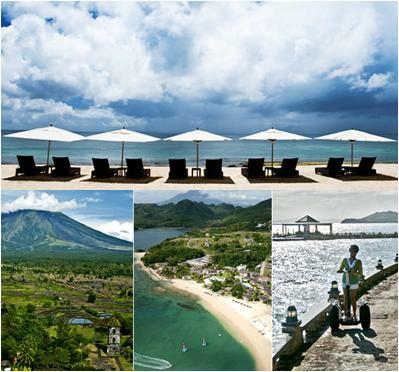 If you think you’ve seen most of what the Philippines has to offer, just wait until you’ve experienced Misibis Bay. 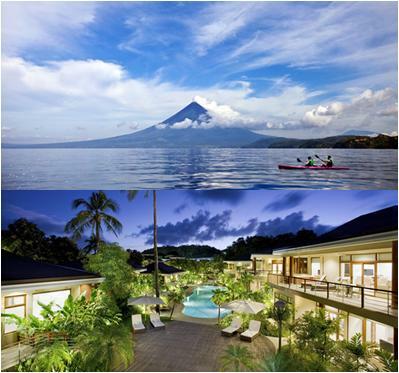 This exciting new 5-star island resort, just 45 minutes from Legazpi City in Bicol, has been getting a lot of buzz as the latest go-to destination in the country. Built on a private, pristine stretch of beach along the southern tip of Cagraray Island, this ultra-luxurious and extravagant hideaway perfectly blends its beautiful, natural surroundings with stunning architecture and breathtaking designs. Rooms are designed with high ceilings, large glass windows, and spacious verandas, which gives indoor living spaces a more breathable and natural feel. Perfectly complementing the 1-km stretch of white sand are 3 swimming pools lined with lush trees and deck chairs, like a man-made oasis in the middle of this tropical paradise. Whether you are looking for a relaxing retreat, an adventurous weekend or a romantic escape, count on this resort to provide you with everything you need for a memorable trip. Fancy an intimate dinner underneath the stars? A family banquet by the beach? Misibis Bay has 4 F&B outlets to cater to many unique dining experiences. The resort has over 30 activities for its guests to enjoy. Some of these include kayaking, snorkeling, basic diving lessons, a sunset cruise, island hopping, wind surfing, Wii/Playstation, Table Tennis, Billiards, Fishing, and a smorgasbord of other choices. Misibis Bay is proudly accredited by the Small Luxury Hotels of the World, which offers a variety of experiences tailored especially to the luxury market in over 70 countries. Its status as a Triple A Resort is comparable to that from world famous destinations like Bali, Maldives, Italy, France, the Seychelles and the Mediterranean Isles. I love the featured deal! What do I need to do? It’s simple—click "Buy Now" to purchase the offer online before time runs out. You can complete your purchase by paying with your credit card. An actual gift voucher delivered to your preferred shipping address. Register to Deal Grocer now!